Iain and Gavin sit down with some Asgardian ale to discuss the latest adventure for Marvel’s space vikings in Thor:Ragnarok and what could be the funniest Marvel Studios movie so far, although it’s not without it’s dark edges. 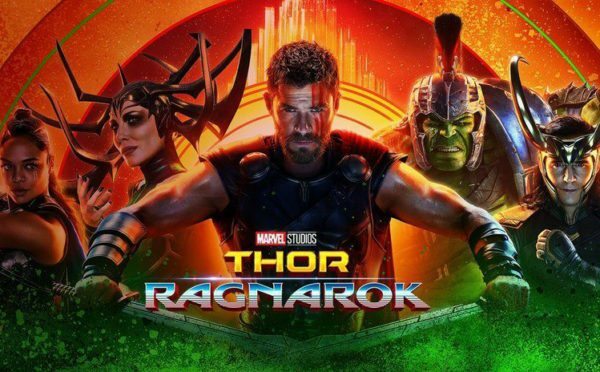 We go easy on the spoilers for our review at first before diving into a spoiler section at the end to discuss the finer plot details of the God Of Thunder’s latest exploits and possible directions for the Marvel universe post-Ragnarok, so you’re probably better off waiting to listen to the podcasts until after you’ve seen the movie. Have your say on what you thought of the film, and our review, by emailing us at [email protected] or tweeting either of us at @mcnastyprime or @gavyap. Our podcast is proudly brought to you by Greenroom 136.com, a Malaysian independent bag company, specialising in urban bags, ranging from single strap messenger style sling bags and attaches to back packs, to bags for your LIGHTSABERS! Once again San Diego Comic Con has come and gone leaving behind lots of juicy hints of what’s to come in the cinema over the next few years. On this week’s show we discuss some of the the most exiting news items that came out of the con, we review The Wolverine and World War Z, and Gavin gives his thoughts on Pacific Rim and the current state of blockbuster cinema. Trailer for Out of the Furnace starring Christian Bale, Casey Affleck, Woody Harrelson, Forest Whitaker, Zoe Saldana, Sam Shepard and Willem Dafoe.